Montage by David Garland. 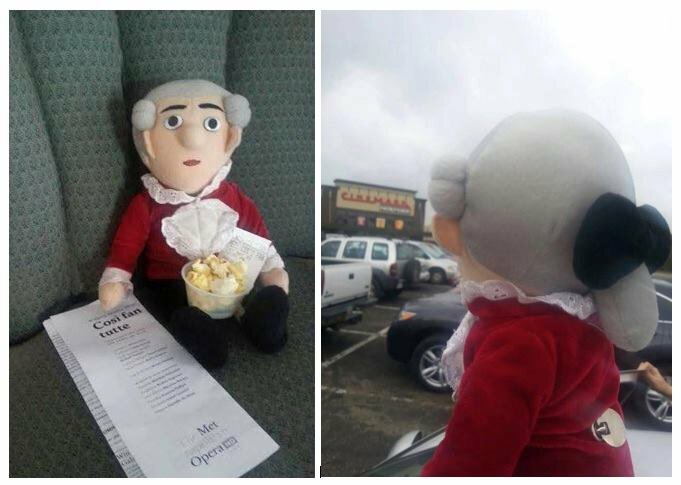 Mozart at the Movies. November 2013. WQXR New York. The Metropolitan Opera and Fathom Events are celebrating 10 years together with this season of the Emmy and Peabody award-winning series, The Met: Live in HD. The first opera of the 2016-2017 season will be the 100th live transmission. A well-deserved "Congratulations!" and hearty "Bravo!" to all! Although The Met: Live in HD is shown in several countries, Fathom Events operates within the U.S. market. Since I have readers/followers from around the world, I always note the geography in my contest guidelines. I've had to enlist a few apologies to my Canadian friends who discover this only after the fact! My contest winners represent Mozartians from 13 states: Arizona, Connecticut, Florida, Iowa, Illinois, Nevada, North Carolina, New Jersey, New York, Ohio, Tennessee, Texas and Wisconsin. And they characterize a variety of individuals from teenagers to seniors and uninitiated opera-goers to professional musicians! After the success and excitement of my first contest in Summer 2012 (See: The Cinematic Fathoming of Don Giovanni), I inquired about tickets for the December 2012 production of La clemenza di Tito, but none were available for either the live broadcast or encore. And it was disappointing to discover that there weren't any Mozart operas scheduled for cinemas in 2013, but what came along a year later more than compensated for this hiatus! In 2014, I was given the opportunity to promote two very special live broadcasts of Cosi and Figaro! The fact that it was Cosi's series premiere combined with Maestro Levine's return to the Met that September to conduct the opera after being on medical leave for two years made it all the more significant. Meanwhile, Figaro had a brand new production design influenced by the 1920s and was broadcast to record number of cinemas in 69 countries. It was especially fun for me to watch, given that I had just attended a performance at the Met with the Da Ponte family, afterwards meeting two of the opera's leading artists! 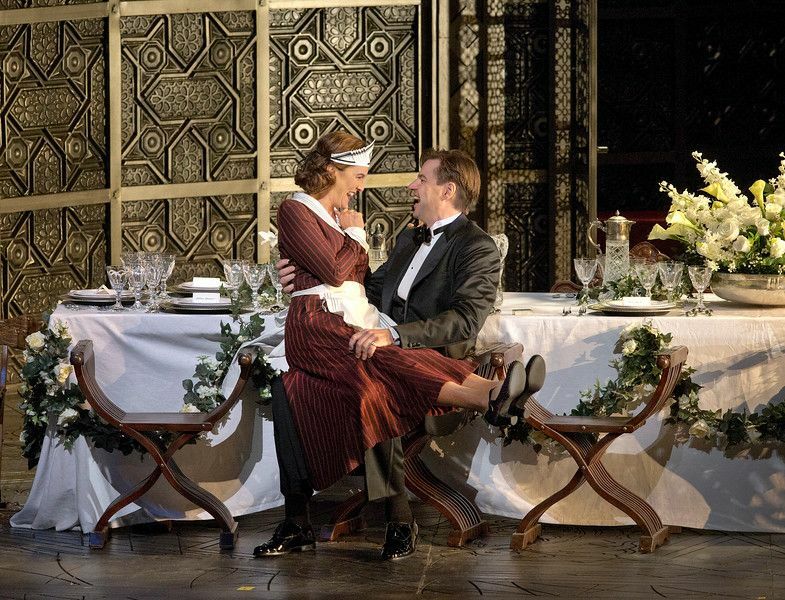 Marlis Petersen (Susanna) and Peter Mattei (Count Almaviva) in Le nozze di Figaro. October 2014. Met Opera. In celebration of Lorenzo Da Ponte's life and work, the Austrian Cultural Forum in New York organized a symposium and concert. As librettist, Da Ponte collaborated with Mozart to pen the words to Le nozze di Figaro, Don Giovanni and Cosi fan tutte. I attended the Da Ponte Day celebration with Clay Alder, a great-great-great-great grandson of Da Ponte, his wife Cece and his aunt Martha Lee Da Ponte. We also attended a performance of Figaro at the Met. To be sitting in the Grand Tier with Clay (clad in a Beatles bow tie!) and his family, watching and cheering on the greatest collaboration in operatic history between his ancestor and Mozart, well, I simply have no words! (Our photo) Clay and his family have been wonderfully supportive. Read his testimonial about my advocacy of the Mozart/Da Ponte operas. Attempting a departure from my trivia contest tradition for Figaro, I announced that I'd be hosting a costume contest instead with my friends at Fathom Events serving as guest judges. It was October, and with All Hallows' Eve around the corner, I thought for sure the idea would be popular. Since I didn't receive enough entries, I returned to the familiar trivia format for the sake of timing. Note: Be ready for new ideas in the future with advance notice! This musical doll was a gift from my twin sister Sheryl at the beginning of my Mozartian journey, so he's sentimental and tends to tag along on my adventures as a reminder of the love and support I have from friends and family. He's a big fan of The Met: Live in HD series! My contest for the encore of The Magic Flute in 2015 was held a few days before Thanksgiving. Since the encore was in December, it had some extra holiday sparkle! This production by Julie Taymor was the inaugural broadcast for The Met: Live in HD series in 2006, so there was sentiment attached to it as well for those familiar with the series. This was the first contest where tickets for my trivia winners were issued electronically instead of vouchers by mail. I hosted my most recent trivia contest this month for a summer encore of Cosi fan tutte, marking my fourth anniversary from the time I started with the summer encore of Don Giovanni in 2012. It all started with an idea, an email to Fathom Events, and it developed into a fulfilling, original adventure. Since the beginning, Fathom's support for my outreach campaigns has been tremendous. Read these encouraging words from Katie Sawyer-Stachler, Programming Manager. I can't express my gratitude enough for the gift they've given me! Since Don Giovanni was the first Mozart opera I advocated through this partnership, I hope to have the opportunity to revisit it during the upcoming 2016-2017 season. The opera's live broadcast and encore are scheduled for October 2016. Also in the realm of possibility this season is a rare revival of Mozart's Idomeneo for which a live broadcast has been scheduled for March 2017. It will feature Jean-Pierre Ponnelle's production design, one of my favorites, so I also hope to join my friends at Fathom to promote this production as well. Exciting! 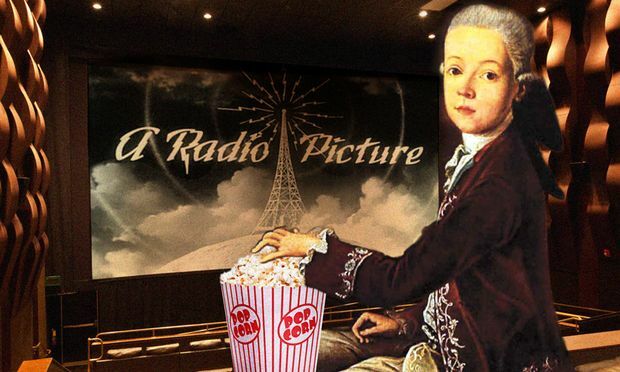 I'd like to think that Mozart, being a man of the theater amused and inspired operatically by the likes of Anton Mesmer with his "mesmerism" and Emanuel Schikaneder with his operatic fairy-tales, would have loved the idea of his operas receiving the cinematic treatment. Why? To quote Francis Ford Coppola: "I think cinema, movies and magic have always been closely associated. The very earliest people who made film were magicians."